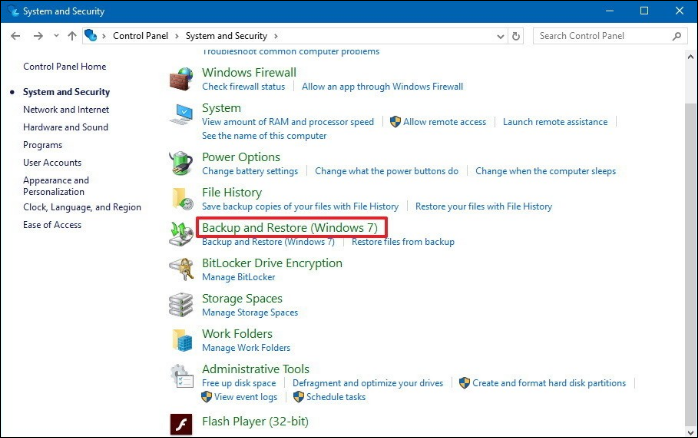 SysTools » Blog » Backup Solution » How to Create Windows 10 Image Backup by Using Effective Solution? How to Create Windows 10 Image Backup by Using Effective Solution? Windows 10 provides a feature to create a copy of the entire computer system. It comprises everything from the Windows 10 installation files, applications, settings, additional device drivers, and personal files. This option is called System Image Backup, which is capable to backup one or more hard drives. 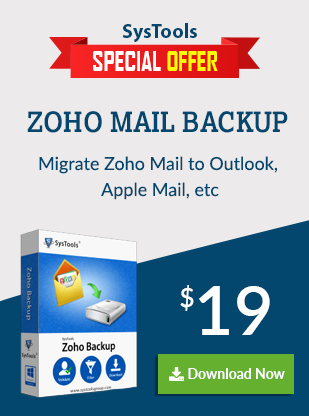 However, it is extremely important to create a complete backup of the system. The copy of the Windows image will help users in case of system failure, errors, or malware. 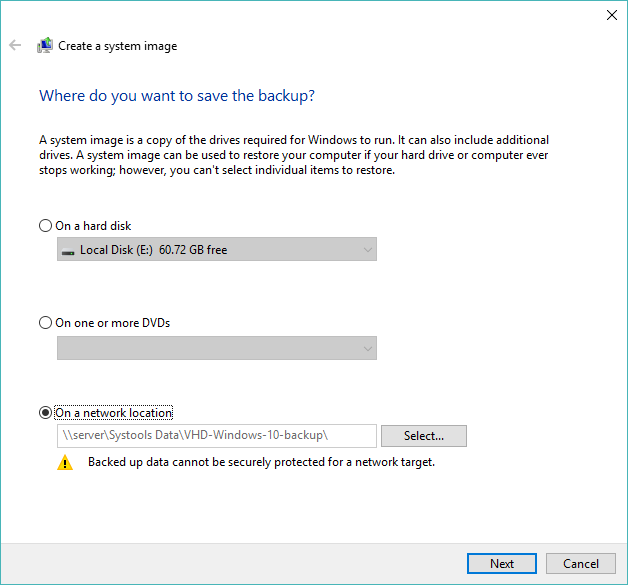 Hence, in this blog, we will let you know how to create Windows 10 image backup. Before this, let’s discuss a scenario where people need to build a system image backup on Windows 10. 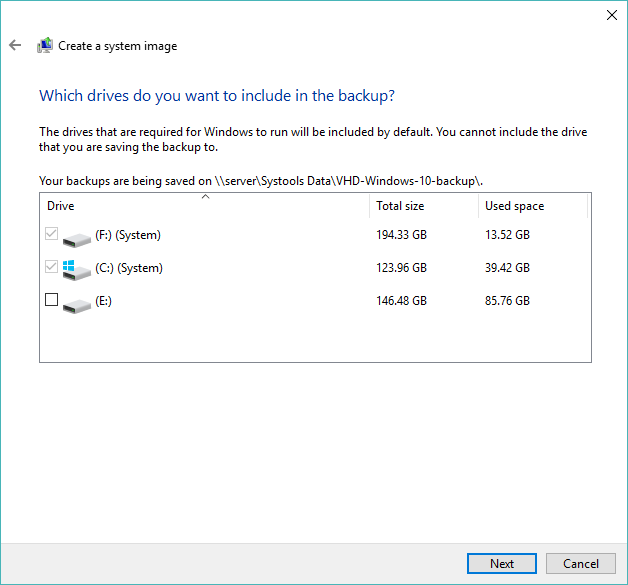 Take OS Image Backup in Windows 10? At first, open the Control Panel. Then, go to the System and Security. After that, click on the Backup and Restore (Windows 7). From the left pane, go to the Create a System Image and select the required drive. Then, go to the “Where do you want to save the backup” option & choose the On a network location option. Click on Next button to proceed further. 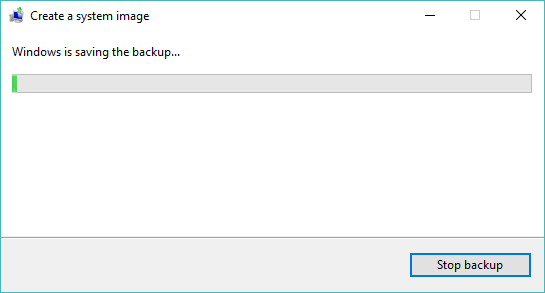 Now, click on the Start Backup button to begin the process to create Windows 10 image backup. Finally, the complete Windows 10 backup will be saved on the network. The backup will include everything that is stored on the main hard disk and the system reserved partition. At the time of the backup process, Windows 10 uses a Shadow Copy technology. This technique allows users to copy the system image while files are still in use. It means that you can continue your work during the backup process. After creating a backup, you will get an option to create a system repair disk. It will let you access the recovery options even system is not able to boot. So, it is advised to create a system disk repair to use bootable USB drive with the Windows 10 installation files. 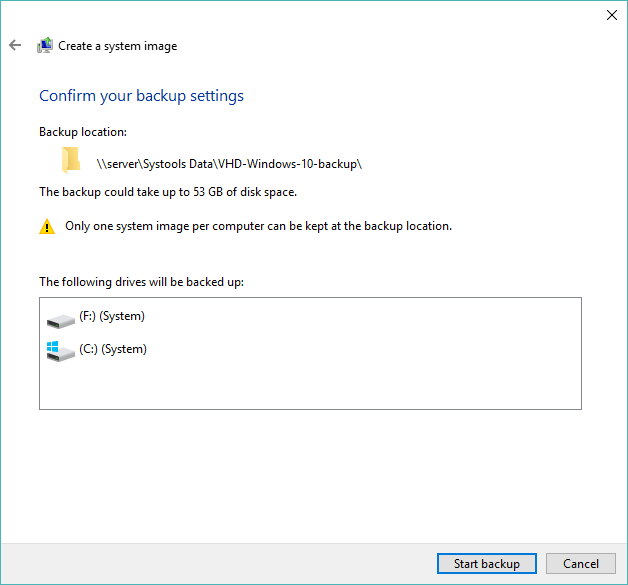 How to Take Windows 10 Image Backup? First, connect the external drive with Windows 10 image backup. Now, connect the hard disk that has system repair files to your device. After that, reboot your computer system. Then, go to the “Windows Setup” page and click on the Next button. Next, click on the Repair your computer link. Further, choose the Troubleshoot option from the list. Then, select the System Image Recovery option to repair Windows by using a specific system image file. Now, select the targeted operating system i.e Windows 10. From the Re-Image Your Computer page, Use the latest available system image option and click on the Next button to proceed further. Finally, click on the Finish button and click on the Yes button to confirm the restore process. Once you have created a complete backup of Windows 10 image. To access the backup data, you need to restore it on the system. But, still, there are some situations where data cannot be viewed even after recovery. In this case, you can use the SysTools VHD/VHDX Viewer Freeware tool to open, view and read the image files from Windows 10 backup. To extract the data from a backup file in its native format, you can use the SysTools VHDX/VHD Viewer Pro software. Many times, users need to take OS image backup in Windows 10. Hence, in this blog, we have discussed how to create Windows 10 image backup on the network location. Also, the restore process of system image from backup is described here. But, it is difficult to open and view the hard disk image file. Hence, people can use a freeware tool.